Welcome to the Town of Georgina! We’re happy you’re here. Georgina is a remarkable community with an ideal blend of small town charm and modern urban amenities. The Town of Georgina is the northernmost municipality in York Region. The Town was amalgamated in 1970, merging six dispersed communities (areas of which were previously part the Town of North Gwillimbury). 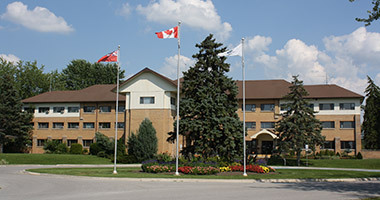 Georgina is bounded by Lake Simcoe to the north, Township of Brock to the east, Cook's Bay and the Town of Bradford–West Gwillimbury to the west, and the Town of East Gwillimbury and the Township of Uxbridge to the south. The municipality is predominantly rural consisting of three larger urban centres – Keswick, Sutton/Jackson’s Point and Pefferlaw – and the hamlets of Virginia, Udora, Baldwin, Belhaven, Brownhill and Ravenshoe. Below are some links to useful information to help get you acquainted with life in our beautiful town.